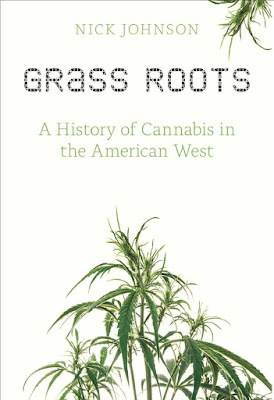 Grass Roots: A History of Cannabis in the American West is now available from Oregon State University Press! A 2018 INDIES Awards FINALIST! "...a bright spot in the ever-expanding landscape of cannabis literature...Grass Roots is a valuable contribution that will hopefully lead people to think more about the cannabis plant's ecological existence." "admirable work ... Grass Roots tells an important history and raises timely questions about the aftermath of legalization." "... a quick, engaging read ... a valuable contribution to our understanding of the history of cannabis in the United States." "With his smart primer on the history of cannabis as a crop, Johnson adds a necessary addition to the growing body of literature on America's favorite plant." "[An] immaculate blend of scholarly research and short character sketches." "...one of the first historians to study cannabis from an environmental and agricultural perspective."